The second half of Frank Norris’ McTeague examines the rapid decline of the McTeague and Trina as a result of their increased obsession over five thousand dollars of lottery winnings. Trina, a miser, wants to hold onto that as an untouchable nest egg, while working hard to add to it. McTeague, desiring to enjoy a slightly better life hopes to use the money. Things change for the worse when Trina’s jealous cousin reports to the state of California that McTeague is practicing dentistry without a diploma. Eventually, he has to shut down his business. Trina’s unwillingness to touch the $5,000 leads to worsening conditions. They move into a series of more humble dwellings. 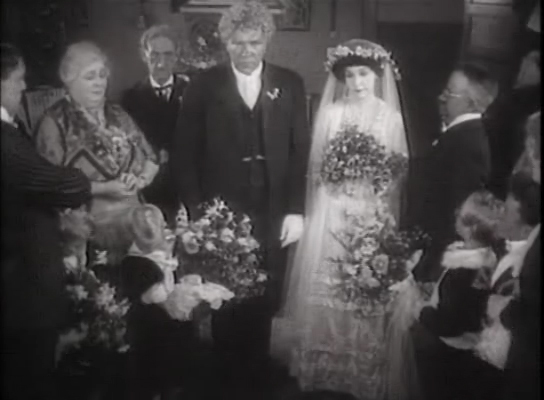 McTeague begins abusing his wife, taking on the strange habit of violently biting her. He starts to drink and becomes less and less a part of Trina’s life. Trina, meanwhile, loses her fingers due to some type of chemical poisoning brought by her overwork on small Noah’s ark figurines, which forms her major income. She has to take a job as a dishwasher. She takes her $5,000 and converts it into gold and to actualize her fantastical wealth. McTeague returns to steal the money, killing her in the process. He escapes to desert and runs into Marcus and the two die in Death Valley, fighting over the money to their last breathes. It is all rather horrifying to watch and makes for a great novel. I have nothing to add to my initial analysis, except to say that I find it holds through the end of the novel. The fetishization of gold was actually institutionalized in American monetary policy and had real consequences in how people interacted with each other. While the $5,000 was a fair amount of money in those days, it was, not really that much. All the characters seem to make it something more than what it was (a way to make life just a little bit easier). In this sense, all of these characters are mentally ill in their relationship with money. This decline is often heart wrenching to read. I argued last time that McTeague’s love for Trina was a fetish in its own way, but the evolution of his hatred for her is very real. His strange abuse of Trina even suggests his perception of Trina as little more than an ornament, becoming something he chews on when frustrated. It is quite clear to me that professionalization had played a role in class war in the last century and a half, consciously relocating economic and social power from one group of people to another. Whatever protections professionalization may have provided to the public (and that is almost always the justification) could be achieved in other ways. Professionalization also works to inflate the cost of certain services beyond reason (hundreds of dollars for a doctor’s visit antibiotic prescription for instance). Now I am not sure it is possible to go back to the wild west days when there was no official registration for professionals, but it is critical to move away from the fetish for the diploma and revive a respect for craft and good training. So I will leave with that question. What will be the fate of the professions in anarcho-communism? They seem to be a product of industrial capitalism and have clearly been a tool of class warfare by the elite and the educated. There are many reservoirs of knowledge and talent that are not backed up by a degree. We actually see this every day, as artisans and skilled workers reveal practical understanding of complex systems that may be unknown to theoretical experts. Personally, I still cringe when people defend their position based on their academic credentials. (It seems to me to be a very arrogant appeal to authority.) Anyway, could McTeague be a dentist after the revolution? Watch the movie version here. This entry was posted in Alcohol, Capitalism, Class Conflict, Family, Library of America, The State, Tradition, Working-Class Life and tagged fetishization, frank norris, gold, greed, mcteague, professionalization. Bookmark the permalink.